Launch from the Baikonur Cosmodrome; landing 180 km southeast of Dzheskasgan. 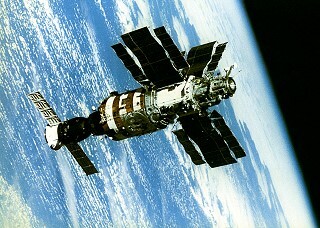 Following a one day solo flight Soyuz T-14 docked with Salyut 7 on September 18, 1985. 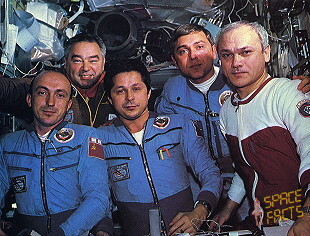 Main goal was a partly exchange of current resident crew (Vladimir Dzhanibekov). 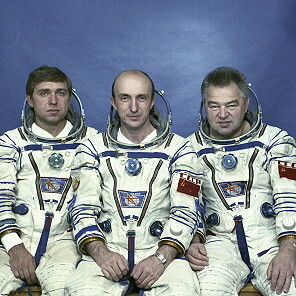 Soyuz T-14 transported Commander Vladimir Vasyutin, Flight Engineer Georgi Grechko and Research Cosmonaut Aleksandr Volkov to the Salyut 7 orbital station. 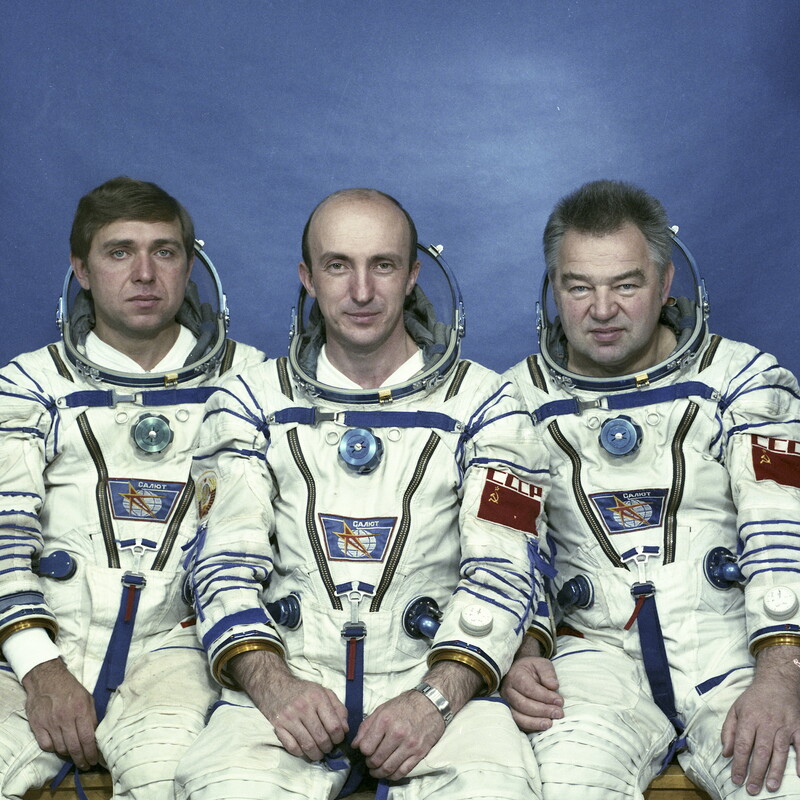 After Georgi Grechko had inspected the repairs and condition of the station, he and Vladimir Dzhanibekov, from Soyuz T-13, returned to earth aboard Soyuz T-13 on September 26, 1985. The crew received Kosmos 1686 on October 02, 1985. This was a modified TKS spacecraft with the military 'star wars' tracking experiments mounted in a stripped-down VA capsule. The crew was to conduct these experiments, and conduct spacewalks with application to future space stations. 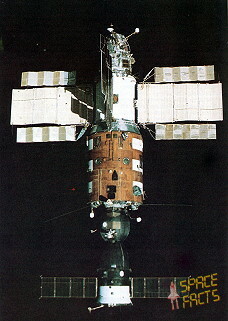 Kosmos 1686 contained 4,500 kg (9,900 lb) of freight, including large items like a girder to be assembled outside Salyut 7, and the Kristallizator materials processing apparatus. All landing systems were removed from the VA re-entry capsule and replaced with military optical sensor experiments (infrared telescope and Ozon spectrometer). 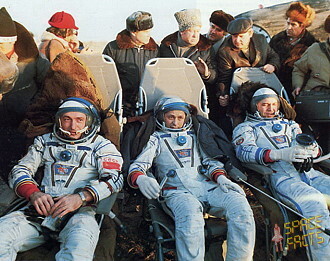 It burned up in the atmosphere and together with the Salyut 7 station over Argentina on February 07, 1991 04:00 UTC. It re-entered with unused 3 m diameter recoverable capsule of 2-3,000 kg mass, solid rocket motors, and cesium sensors. Photography of the Earth surface was done. 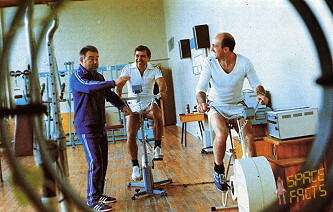 Observation of mechanical and electronical behavior of enlarged space station (Kosmos 1686) was part of the scientific program. 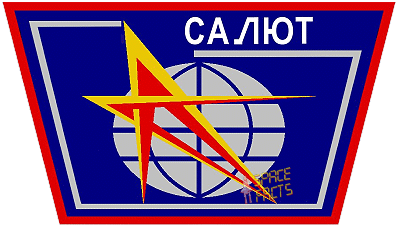 The crew conducted military experiments with the Kosmos 1686 module. A premature return to Earth because of seriously illness of Vladimir Vasyutin was needed. He was suffering from a very bad urinary tract infection and had a high fever as well. It took nearly six weeks of antibiotics once back on the ground before he was better. Other sources said that the mission was cut short due to an incapacitating psychological condition developed by Vladimir Vasyutin. 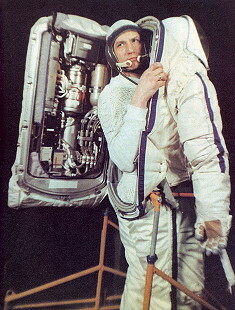 Experiments and tests for the planned space station MIR and EVAs were not accomplished. 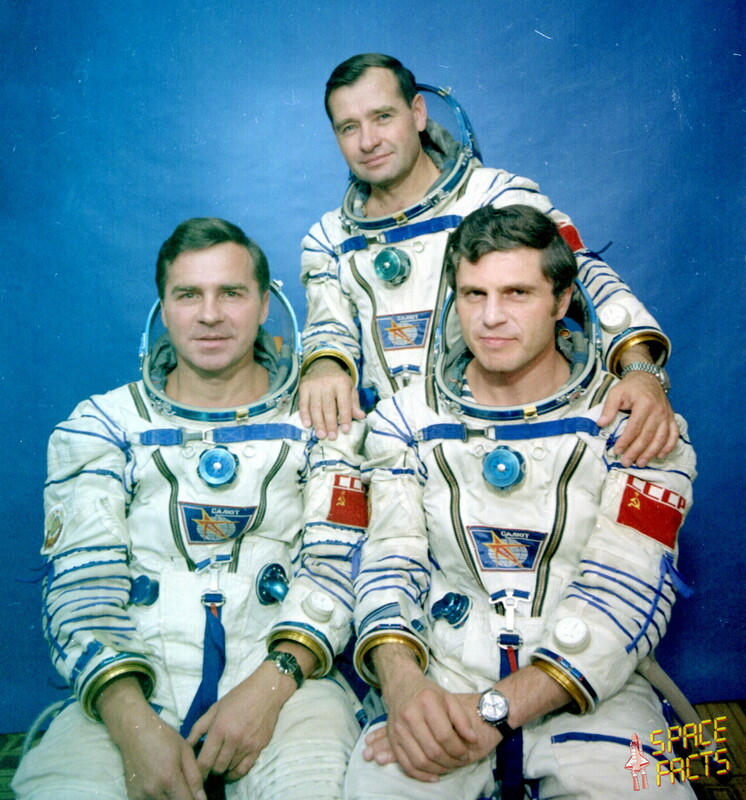 Georgi Grechko landed on September 26, 1985 at 09:51:58 UTC with Soyuz T-13 spacecraft.